Holy freaking yum! I am not an enormous popcorn lover but since summer is quickly approaching and popcorn is a healthy snack, I decided to try out pipcorn. Before I go into my review here is a short excerpt from their page. Pipcorn was founded by Jeff & Jen Martin, a dynamic brother and sister team. All of our delicious flavors are popped in small batches and seasoned by hand. Pip pip hooray! The Pipcorn seed was planted when Jeff was helping Jen move apartments in the spring of 2010. 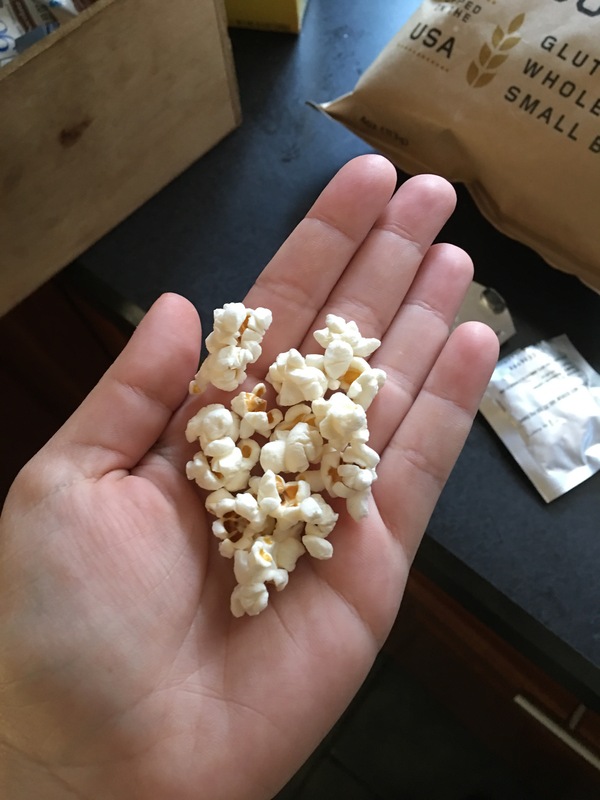 In desperate need of a snack, Jen remembered these special little kernels that she had gotten a few days earlier. Five minutes later, they were snacking on the best popcorn they had ever had. Two years later (and an unbelievable amount of support from family and friends), they launched Pipcorn and the rest is history! Some of you may already be familiar with this brand thanks to the show Shark Tank. I had no idea that truffle popcorn would become my favorite popcorn but now I am hooked, the kettle corn flavor is also pretty yummy too! Pipcorn can be found EVERYWHERE and ordered online as well. I highly recommend trying out this popcorn of you haven’t already because it makes for the perfect summertime snack for both adults as well as kids! Take my word for it…you will love pipcorn! love popcorn, will have to try them out. thanks for the rec!